I received my first La Concha newsletter and was happy to see an article that I wrote was published in the September issue under NorCal Chapter News on page 13. It was based on the blog post, A Heavenly Day at Angel Island, about a fantastic gathering and hike on July 11, 2015 in San Francisco. Click here, or the image below to open the 26-page newsletter PDF. My article in the NorCal Chapter news. Group photo courtesy of Diana Valle, taken by Rennie Archibald. I enjoyed reading the different perspectives in this issue from people about their Caminos, especially Road to Rabanal, Walking the Kumano Kodo, and Why the Camino? Because it Calls You. There is a book review on The Lore of the Camino de Santiago: A Literary Pilgrimage and a section that congratulates Camino book authors. At the end, there’s a roster of new members , along with save the date for the annual gathering of Pilgrims (April 7-10, 2016 in Belleville, IL). La Concha is a great publication for those who are interested in the Camino, and for APOC members who would like to share their stories, poems, books or photos. Moreover, it is evidence that the Camino provides, and that there are many people across America who want to share the love! 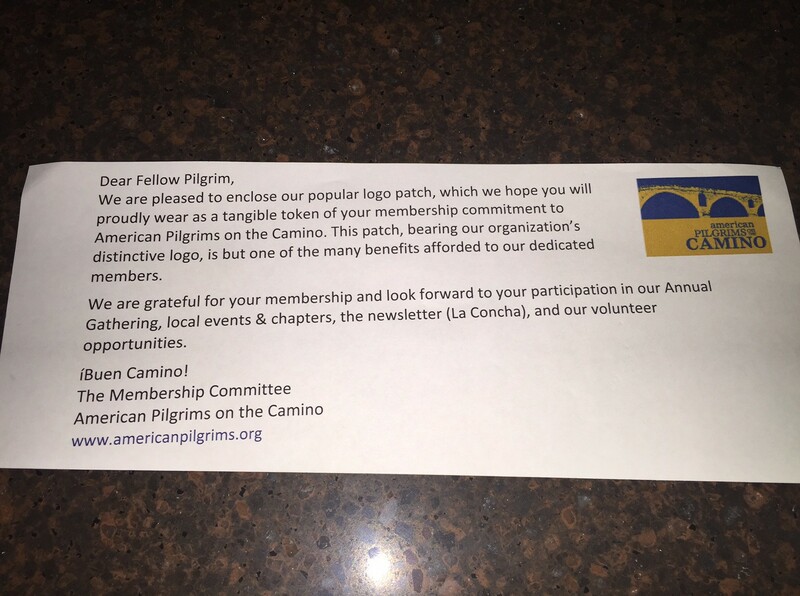 I added La Concha newsletter to my Camino Resources page. If you have Camino books or newsletters to recommend, use the form below or email me at laurie@thecaminoprovides.com. POP QUIZ: Who can tell me what bridge is featured in the APOC logo? Is it Puente de la Reina? I don’t know the French Camino bridges too well although I’ve been to several cities on it. German comic Hape Kerkeling had an interesting take on the Camino. I laughed, but some might be offended by his attitude at the beginning. But it was refreshing to see his take on it. The English title is I’m Off Then. I believe it is Puente La Reina! There are so many beautiful bridges in Spain. 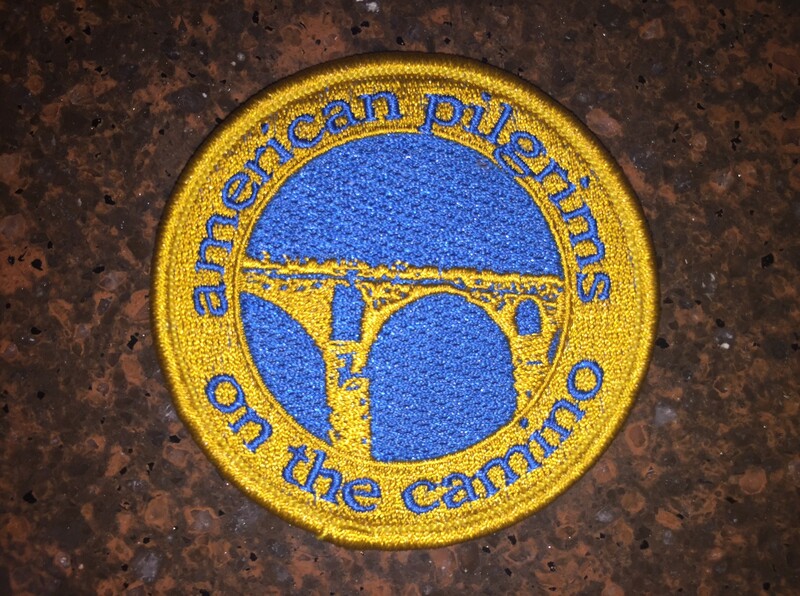 I look forward to seeing this on the Camino Frances. I have heard of the book “I’m Off Then,” and just added it to my Goodreads to-read Camino books list. Puente de la Reina is one of my fave bridges I’ve seen. I haven’t seen any new medieval bridges for a few months. I have to rectify this situation.